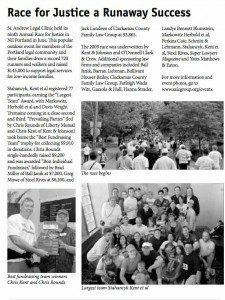 St. Andrew Legal Clinic Largest Team Award | Stahancyk, Kent & Hook P.C. 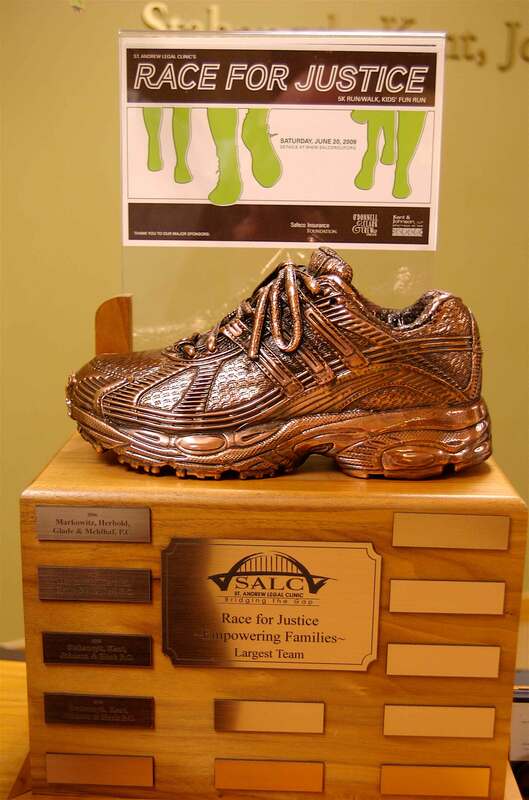 Last weekend, the Stahancyk team took home the Largest Team Award at the SALC Race for Justice for the second consecutive year. 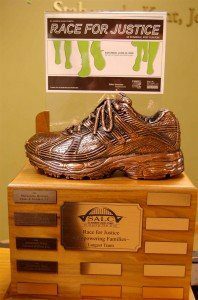 Associate attorney Arthur K. Saito once again rallied the Stahancyk community to come out and support a good cause and we will have the honor of hosting the St. Andrew Bronze shoe in our lobby for one more year. In addition to reassembling the team, Arthur helped to organize, plan, and fundraise for the event, one of SALC’s largest fundraisers of the year. The St. Andrew Legal Clinic bridges the gaps that the state can’t fill. When low income individuals need legal services and don’t qualify for state aid, St. Andrew Legal Clinic is there to help them. You can read more about them here.